In his first State of the Nation address in February 2018, President Cyril Ramaphosa announced his government’s goal of doubling the size of the tourism industry and its contribution to the South African economy. Hallelujah! We have someone who really does see the big picture. “It’s about the entire cabinet needing to identify the roles they are going to play in terms of delivering on this goal that the president has set. “The president is in charge and he has to make sure that the performance agreements which he signs with his ministers are aligned to his goals. “What you found previously, in my view, is that we had this National Development Plan but there was no alignment in terms of Key Performance Indicators (KPIs) and the management towards it. “My understanding is that when the president says he wants to see double the growth, he’s making sure that in everyone’s scorecard, everyone has to identify what role they are going to play in contributing towards it. “Firstly, when we make up our minds that we have identified areas of growth, we need to appreciate that tourism is a very fickle industry. It goes to places where there is least resistance. And the upfront there has become things around visas – for example, the unabridged birth certificates. This doesn’t say that we must have a free-for-all and let in unwanted characters. We need to find a very smart, user-friendly way of making sure that those who contribute to our economy, in terms of tourism, do have easy access into the country. “Let me give you some examples. Just from Africa, we’ve seen Kenya, we’ve seen Rwanda – for travellers from Africa – saying no visas are required to visit these countries. You get visas on arrival. We’ve seen examples in Australia (which has the world’s largest source market – China) and Morocco saying that for their biggest source markets, visas are provided on arrival. “We’ve seen the numbers growing exponentially – 40-50% up! That’s what’s possible. “Secondly, we must make sure that the tourism impact is felt right across the country, across all nine provinces – that tourism cannot just be concentrated on Cape Town, Johannesburg and Durban. Big Hole Museum historical precinct in Kimberley... on a Sunday! Maybe SA Tourism needs to demand business action plans – that meet its requirements – from provinces and towns before they get to feature in South African Tourism’s marketing mix? Tourism is attracted to vibrant places and people. In Cape Town and Johannesburg, it’s the vibrancy and energy of the people who have created lively, desirable cities. How does one change people in the towns? “It’s making sure that the benefits of tourism are felt by everyone. Once people feel included they become part of the solution. “It’s when people feel left out, saying ‘tourism means nothing to me, I don’t benefit’ that they feel no pride or attempt to participate. When people can see that there actually is big business, and a very sustainable business. He told of the problems of the Blue Train being stoned as it passed through stations, as a symbol of elitism. One of the MPs suggested – in all seriousness – that the solution would be for all South Africans to be given the opportunity to ride on the train! During the tea break, I suggested to someone that everyone who benefited from tourism – right down the line… to laundry worker in Elsies River – should be given a badge that proclaims “Tourism benefits me”. And on “Tourism benefits me” Fridays, when people get their pay packets and wear their badges, the real impact of tourism would be widely realised. The chairperson asked me to repeat this to the committee when the meeting was resumed, and it was resolved that SA Tourism should be asked to look into this and take it further. When nothing had happened a year later, I decided to do this myself and introduced it at the V&A Waterfront and handed out badges at Indaba 2000. Seventeen years later at Indaba 2017, SA Tourism launched “I do Tourism” which has similar aims but seems to be largely focused in the digital field. The campaign seeks to make tourism everyone’s business by demonstrating the far-reaching impact of its value chain. The I Do Tourism campaign calls all South Africans to loudly and proudly declare, "We Do Tourism". But for everyone to understand and appreciate the benefits of tourism, they need to see how tourism touches their lives and makes them better – a Table Mountain that is safe for locals and tourists; trains and taxis which are safe and convenient for everybody to use… everywhere; half-asleep, arrogant security guards replaced by friendly and helpful safety guides (taking a lesson from Disney); and retail & leisure destinations which don’t speak to class boundaries but are a source of pride to all. The V&A Waterfront, Africa’s most popular destination, would not be what it is today without tourism. And tourists would not have come in their numbers if it was not a world-class destination that aimed from the outset to be the best. In 2010 after over a year away from Cape Town, what surprised me most about the city when compared to Gauteng, Limpopo and KZN was the extent to which Capetonians had taken their city back… the number of runners, joggers and cyclists who take to the streets every morning and evening. Johannesburg is now doing the same. It’s time for everyone to take back our country. And to share it with visitors from neighbouring provinces, neighbouring states or far away countries. Cyril Ramaphosa took to the early morning streets in Cape Town in the days after being sworn in as President, inviting people to join him and keep fit. Exciting and challenging times indeed! Sisa Ntshona was appointed Chief Executive Officer of South African Tourism in October 2016. In this position he is responsible for steering the mandate and all operations of the national Destination Marketing Organisation's head office and its country offices. With over 20 years' experience he has held several strategic leadership positions across different jurisdictions in Africa & Middle East in blue chip corporations and multinationals. Having initially joined Barclays Africa as an Investment Banker, he later moved to become the Head of its SME Banking Division, a role he held until joining SA Tourism. 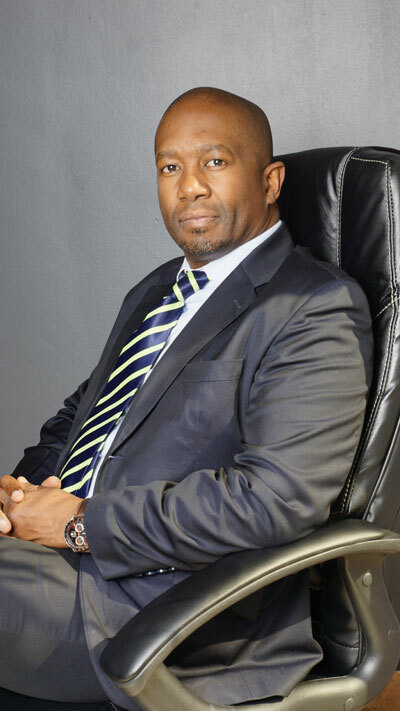 Mr Ntshona also has worked in the aviation industry for South African Airways, Financial Services Money Transfer, Western Union and Manufacturing, Parmalat Food Industries. An accountant by training, he holds a string of commerce qualifications including a Master of Business Administration (MBA) from the University of Pretoria and an International Executive Programme (IEP) from INSEAD Business School in France. He has also served on a number of boards including as non-Exec Board Member for the Enterprise Development Council of South Africa. Prompted by this inspiring interview with Sisa Ntshona, CapeInfo asked provincial tourism authorities about their plans to achieve the President's goals. Click here to see what we found.